A glimpse at the future of space travel. 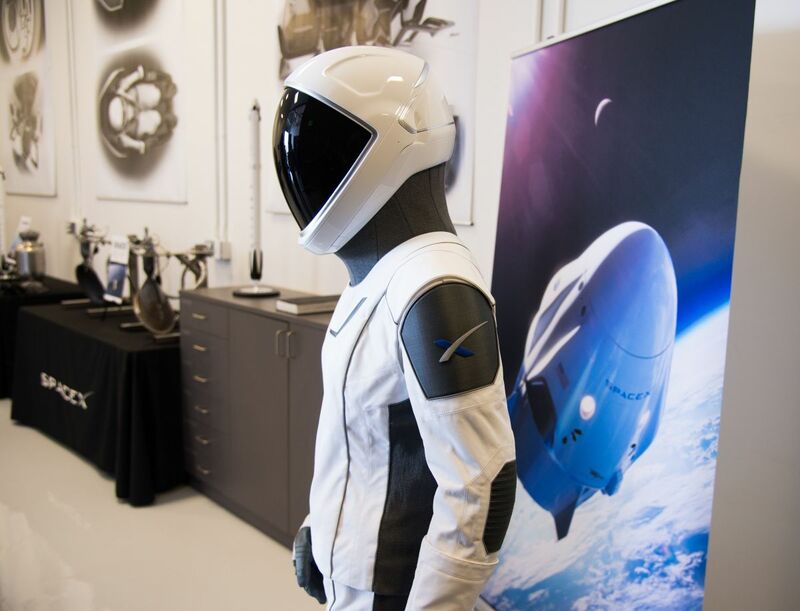 A lucky group of journalists just got a first glimpse at the future of space travel. 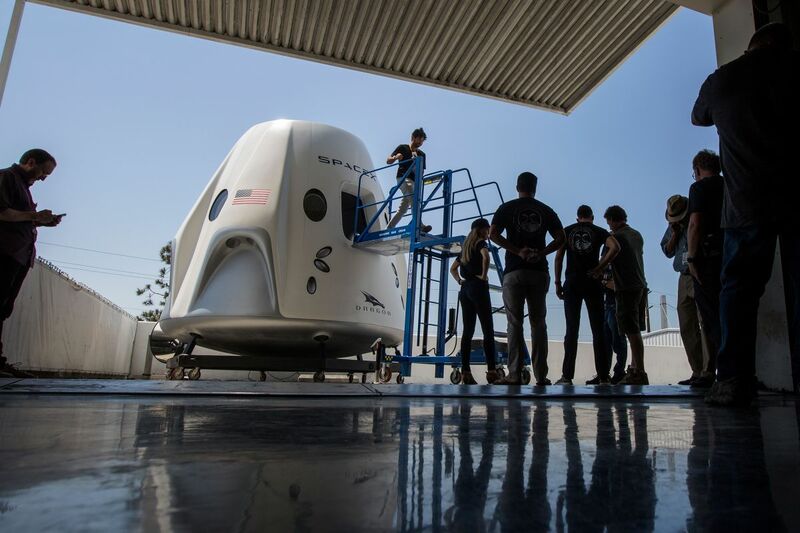 SpaceX welcomed them to its headquarters in Hawthorne, California to show off their latest version of its crewed Dragon capsule, which is slated to head to the International Space Station as early as February 2019. It was a surprisingly detailed look at what the future of commercial spaceflight could look like. 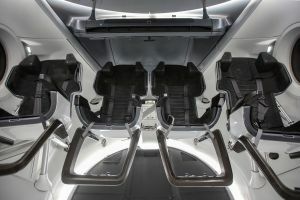 Members of the media could climb aboard a full-scale mock-up of the SpaceX Dragon capsule, get up and personal with SpaceX’s mascot… er, dummy wearing the company’s spacesuit, and even have a look at the launch software while sitting inside a simulator. Here’s are the big takeaways. 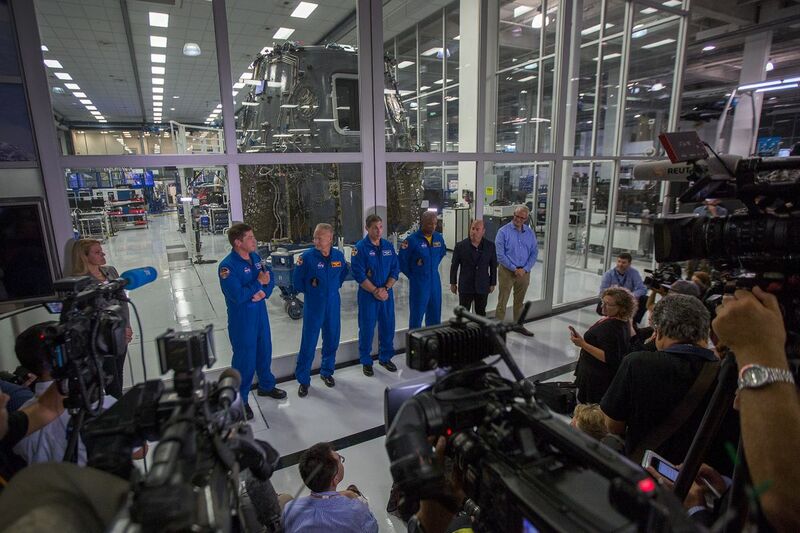 Four astronauts that NASA recently announced would make the first journeys in the craft also attended the event, addressing the media and posing for photographs. Specs of the suit are still a bit murky, but you can take Elon Musk’s word: “it definitely works. You can just jump in a vacuum chamber with it, and it’s fine,” he said at a press conference back in February. According to Business Insider, the suit is made from a specially developed fire retardant fabric. It won’t, however, be very useful for actual space walks, because it really hampers wearers’ movement when it’s fully pressurized. Instead, the suit would provide a safety backup in the event of equipment failure or sudden depressurization, so they’d have to wear them the whole time they’re in transit to the ISS. The suit also won’t protect astronauts if they’re exposed to extreme temperatures or radiation outside space vehicles. 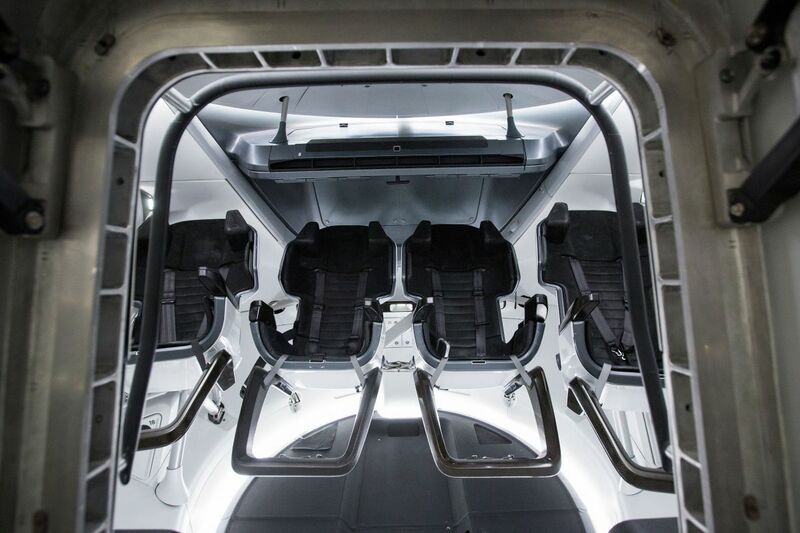 The interior of the mock-up is surprisingly roomy. There are four race-car-style bucket seats for the astronauts to sit. There’s room for three cargo pallets under the seats. A massive screen above the seats acts as the control panel. And there’s a modestly curtained-off toilet, in case launching into space makes you feel a bit queasy. According to SpaceX’s website, the Dragon spacecraft can launch with six metric tonnes (13,288 pounds) on board. It can stay in orbit for up to two years, and can be reused to fly up to the International Space Station up to ten times. Seven life-support systems and a powered launch abort system (tested in 2015) keep the crew safe. 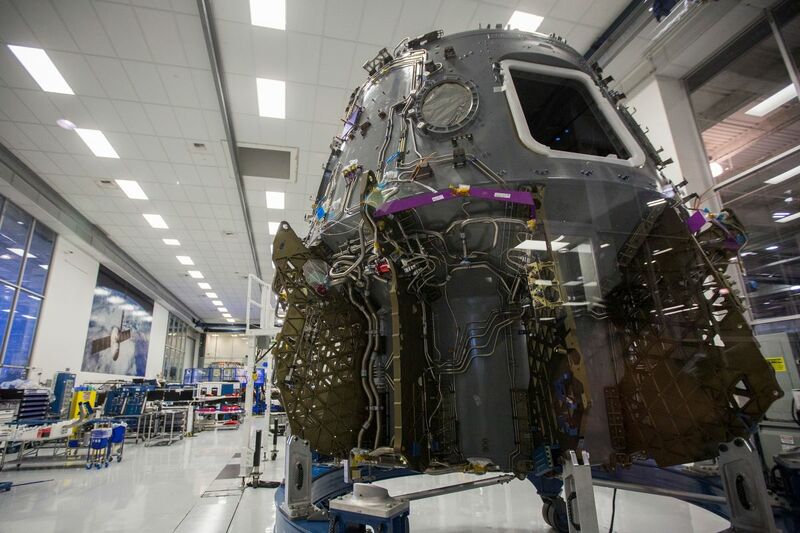 Here’s what the real spacecraft looks like — still under construction inside a clean room. Cramped Soyuz shuttles are so 50 years ago. Launches are about to get a lot more comfy for astronauts heading to the ISS. And according to reports of the software SpaceX showed off during the event, it will be a breeze to pilot the Dragon, too. SpaceX has shown what the future of spaceflight could look like — and we hope that the average person (that is, if they can afford it) can check it out for themselves. What Will Future Space Robots Look Like?